Heat honey in microwave for 10 seconds to loosen and mix all ingredients in a bowl. 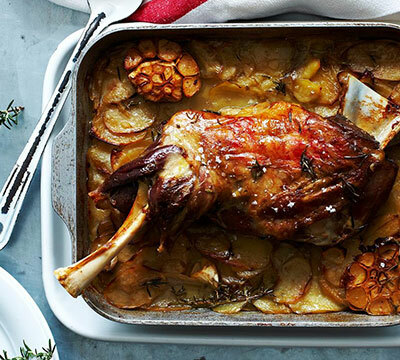 Place lamb in a dish and cover with mixed ingredients. Roast in oven covered for 3-4 hours (ready when lamb can be separated easily with 2 forks). Uncover and drain liquid then cook for further 20 minutes at 200 degrees. Remove from oven and serve on a shared plate, with honey baby carrots, blanched broccolini in garlic oil, and kipfler potatoes.